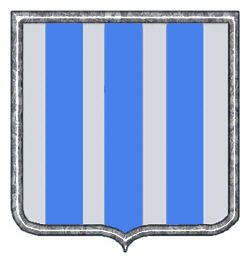 Coat of Arms: Silver with three blue pallets. 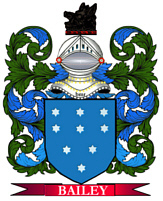 Crest: A bent red arm from the shoulder. Motto Translated: I remain unvanquished. Spelling variations include: Armstrong, Armstrang, Armestrang, Harmestrang, Armystrang and many more. First found in Cumberland where they were seated from early times. Some of the first settlers of this name or some of its variants were: Avis Armstrong, who was on record in Connecticut in 1660; Edward Armstrong, who recieved a land patent in Maryland in 1666; Addam Armstrong, who came to Virginia in 1691. English (common in Northumberland and the Scottish Borders): Middle English nickname for someone who was strong in the arm. Irish: adopted as an English equivalent of Gaelic Ó Labhradha Tréan ‘strong O’Lavery’ or Mac Thréinfhir, literally ‘son of the strong man’, both from Ulster.